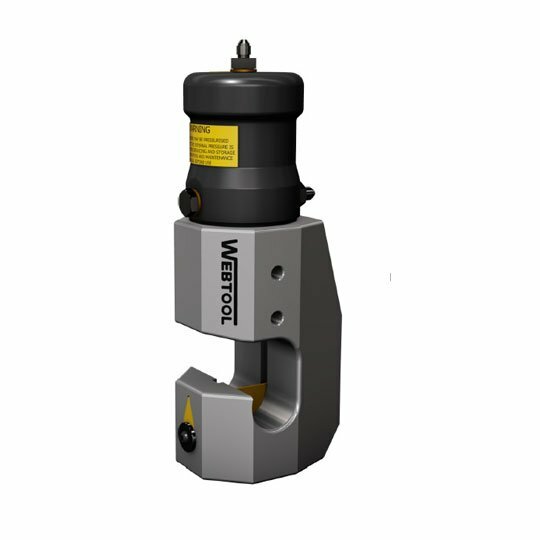 High pressure open sided subsea wire rope cutter for up to 1.5” steel wire rope. 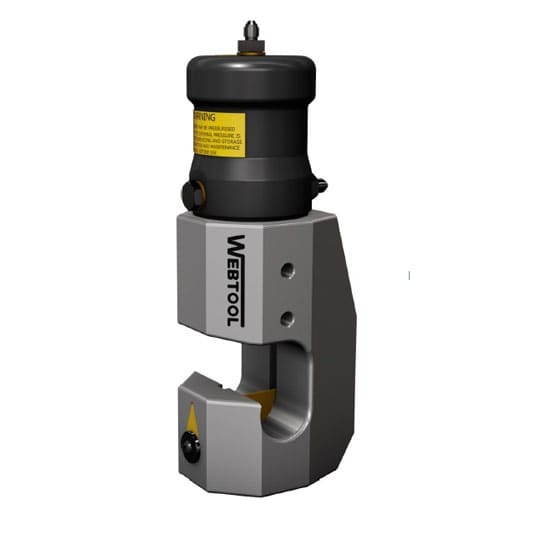 The RCO40 is a high pressure heavy duty wire rope cutter designed for subsea deployment in severe working conditions. The open sided design allows for easy positioning on the wire by ROV while the blade shaped anvil increases the grade of rope that can be cut. Corrosion resistant and durable stainless steel and coated steel construction. Genuine Webtool™ blades and anvils give optimum cutting performance and ensure that maintenance is kept to a minimum. Open sided design and no moving anvil makes deployment simple and reduces the number of hydraulic hoses required. Compact design is ideal for operation in confined spaces or where access is limited. Mounting holes in the body allow for the fitting of standard handles (contact us for details) or bespoke mounting brackets. Serviceability and Support – Spare parts including blades, anvils and seals kits are available. Contact us for technical questions and support. Capable of cutting EIPS (1960 N/mm²) wire rope up to 38.1mm (1.5″) diameter. See “Cutters VS Grade” document for more details.